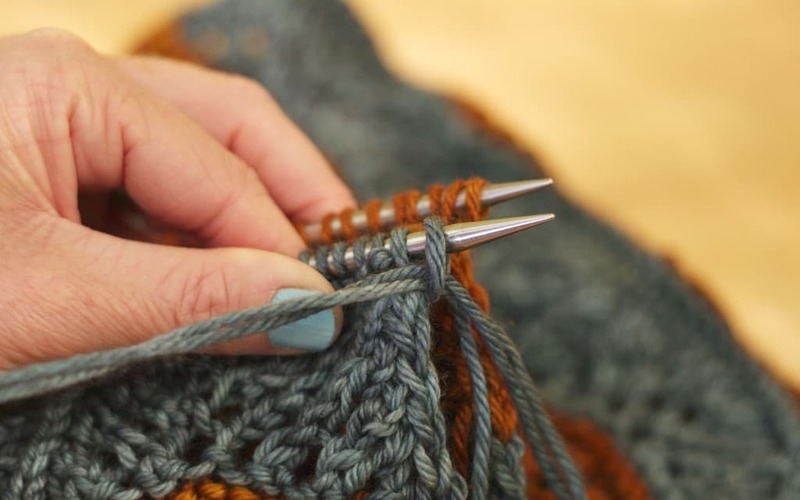 tThe end of your knitting is just as important as the beginning and the middle, as it can be crucial to a project’s stability and the appearance of those final edges. 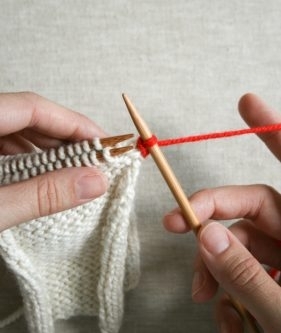 Most garments, scarves and shawls require some kind of bind-off, but not all projects need a bind-off: Hats worked from the brim up, mittens, gloves or shawls worked from the bottom up likely require simply sewing closed the remaining handful of stitches left at the top of the hat, tips of fingers and so forth. 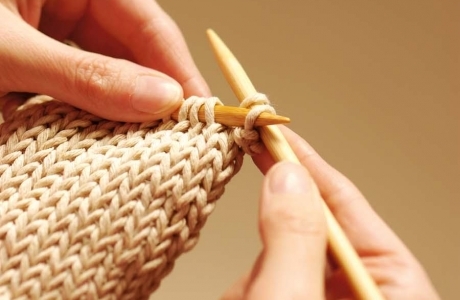 Sometimes the standard bind-off is all you need, but for other cases you might need a special bind off. No matter your project, this guide can help you finish off that project and start showing it off! The standard knitting bind-off produces a neat, even edge appropriate for all kinds of projects. It’s not very flexible, however, which means it’s not a great choice for socks or sleeve cuffs. Begin by inserting your needle through the first stitch on the work, with the right side facing you. 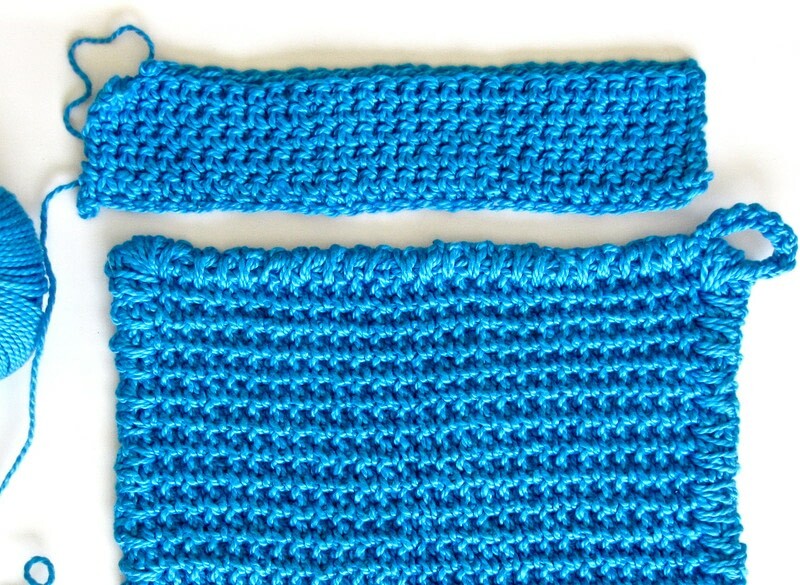 Work this stitch as a regular knit stitch. Next, knit the second stitch on the needle as normal. Then, pull the first knitted stitch over the second one and drop the first stitch off the needle. You have now bound off one stitch. Repeat Steps 2 and 3. That is, knit one stitch, then slip the previous stitch over the new stitch and off the needle. Repeat this until all stitches have been bound off. When there is just the final stitch remaining on the right hand needle, cut the working yarn and pull it through the final stitch, completing the edge. When the standard bind-off just won’t do the trick, try one of these options. 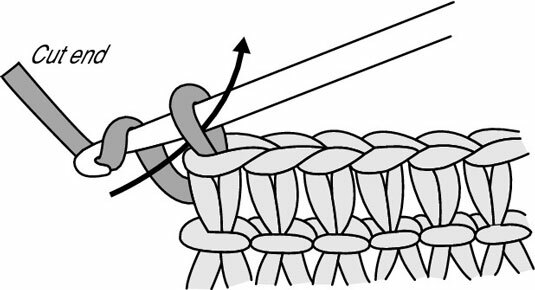 The three-needle bind-off is a popular one for edges that need some stability, since the alternative of grafting live stitches would prove too stretchy and saggy over time. It’s also useful for edges that involve both knit and purl stitches, since the bind-off work occurs on the inside of the work and does not show on finished garments. You’ll commonly find three-needle bind-off in use on shoulder seams, the top of hoods on hooded sweaters or to fasten together two ends of a neckline that meet at the back of a collar. 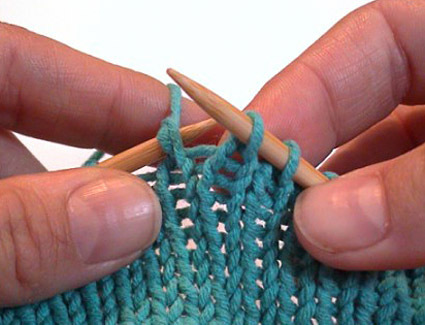 First, arrange your stitches on two needles or at either end of the same circular needle, and then turn each one so that the wrong side is facing. This might take a bit of fiddling around or rearranging of stitches. Ideally, you will have the working yarn still attached to one of the pieces of work, but if not, you can start with a fresh length of yarn and weave in the end later. Next, insert your third needle knitwise through the first stitch on each needle. Wrap the yarn as if to knit and knit these two stitches together. Let the first stitch from each of the parallel needles to fall off. You’ll have one stitch on your third needle. Repeat Step 2, knitting two stitches together. Then, with one of the left-hand needles, pull the first stitch over top of the second stitch and let it fall off the needle, just like in a regular knitwise bind-off. Continue these last two steps until all stitches have been bound off. As you can see, this method works when there’s an equal number of stitches on each piece of fabric involved. The finished result is very neat from the outside. There are lots of types of stretchy bind-offs. 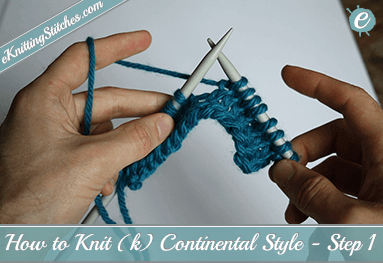 One of the most common is the Knit 2 Together Through the Back Loop bind-off. A stretchy bind-off is a good choice for any knitting that needs to fit around a part of a body — a neckline, top-down hems and hats, toe-up socks and so forth. STEP 2: SLIP THE LEFT NEEDLE INTO THE FRONT OF BOTH STITCHES YOU JUST KNIT ONTO THE RIGHT NEEDLE. Notice that the position of the needles is the same as when you k2tog through the back loop on the left needle. You now have one stitch on the needle and have completed one bind-off. You now have two stitches on the needle. Slip the left needle into the front of the two stitches and k2tog tbl. Repeat Steps 4 and 5 until you have one loop left on the right needle. Then knot the loop as you would in a standard knitted bind-off. Binding off in pattern isn’t totally necessary, but sometimes it looks nicer or reinforces a specific quality in your knitting.